Serving Northwest Ohio & Southeast Michigan since 1980! 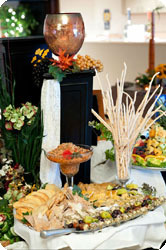 As a full-service caterer, we offer event planning, staffing, linens and china. Weddings are our specialty! We’d delight in being part of your next company picnic, fund-raiser, open house or seminar! Breakfasts, brunch, lunches and dinners are available and we’re equipped to handle any size gathering. Nothing would please us more than being part of your holiday party, theme wedding or summer picnic! Don’t need staffing, linens or china? Intimate party for friends and family? Just don’t have time to cook? Let Michael’s prepare your meal and we’ll deliver it right to your door! There’s nothing to return or retrieve; everything’s disposable! 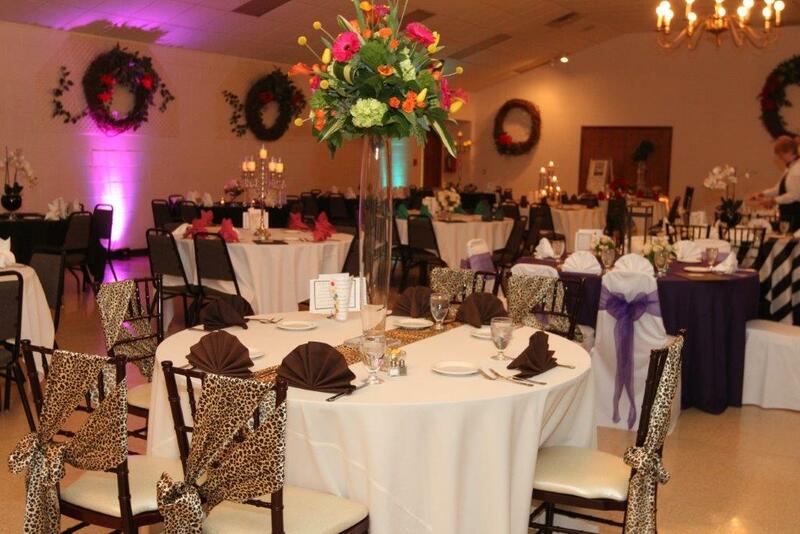 Call us today at 419.698.2988 or contact our Catering Manager to secure your event on our calendar. Click below for our Catering Packet. Michael’s Café & Bakery is located at 101 Main Street (at Front), Toledo, Ohio, near International Park. Parking is located in the rear of the building off Front Street. Just follow the aroma to the big green canopy! Inside, you’ll find our Café and Full-Service Bakery filled with fresh treats waiting for you. Our Café is open daily Monday though Friday from 6:30am till 5:30pm, Saturdays 8:00am till 3:00pm and closed on Sundays. Our made fresh Soups are posted daily on this site as well as our Monthly Specials. 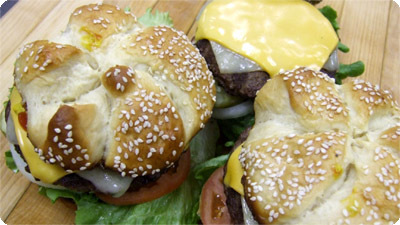 We offer “hot off the grill” sandwiches, fresh salads, fountain beverages and fresh-brewed Kona Coffee! Seating is available in our Commons Area. Enjoy your lunch among the history of East Toledo and visit the other fine shops in the Historic Weber Building. Michael’s Gourmet Catering, Inc. is proud to be the exclusive caterer for St. Michael’s Centre, 4001 Navarre Avenue, Oregon, Ohio. St. Michael’s Centre is located between Coy and Lallendorf Roads, approximately 1.7 miles east of Interstate 280. 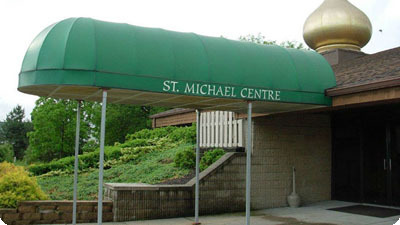 St. Michael’s Centre has the seating capacity for 400 people and is equipped with round and banquet tables, padded ballroom chairs and chandelier lighting. Customers are permitted to furnish their own alcohol; experienced bartenders are provided. The entire facility is handicap-accessible with full air-conditioning, heating and lighted parking lots. Several fine inns and hotels are located within minutes of the banquet facility. Rental costs vary and include 5.5 hours of event time with bonus time permitted for party preparation and closure. Additional hours are available for a nominal fee. 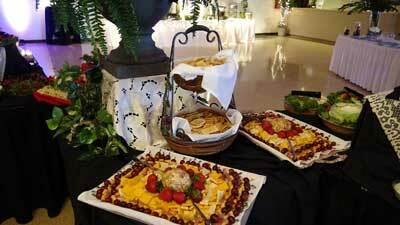 Call 419.698.2988 or e-mail the Catering Manager to discuss your event or to schedule a personal tour. Great food, all from scratch, and even better prices what’s not to love about this place? Solid menu and daily specials are great to change it up. Best place for lunch in the city. The desserts are also second to none. Fast service, friendly people, fantastic experience. Delicious soup and sandwiches. Would recommend the Rocky Mountain. Lemon meringue pie was perfect. Went for lunch and it was delicious!! Everything is homemade and freshly made daily. Will definitely go back. Michael’s is catering our wedding and they are top notch! Sue has been wonderful to work with, even when I had no idea what to do. I would highly recommend them to anyone! The food was incredible & the service made us feel as if we were at a 5-star restaurant/hotel. From planning to execution, you made all of us feel as if we wre your only client. Some of the most kind & hard-working individuals we have ever encountered. We were very lucky & honored to work with you. You & your staff definitely went above & beyond. It’s obvious why your business receives rave reviews! The dinner & appetizers were delicious…the cake was gorgeous…and you were amazing at handling all the little details. The food was phenomenal & the service was even better! Thank you so much for making our special day all we could have imagined & more! © Copyright 2018 | Michael's Gourmet Catering, Inc. | All Rights Reserved.